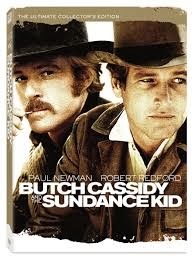 During golden days of Hollywood westerns, a film was released in 1969, named as Butch Cassidy and the Sundance Kid. This week's long forgotten musical track is from this film. The song, "Raindrops Keep Fallin' on My Head," by B. J. Thomas, became very popular and won an Academy Award for Best Original Song. The popular film depicted train robbery attempts of two gangsters, Butch (Paul Newman) and Sundance (Robert Redford) and their subsequent eloping to Bolivia, where they are still followed by law. The film won four academy awards and in 2003, the film was selected for preservation in the United States National Film Registry by the Library of Congress as being "culturally, historically, or aesthetically significant".